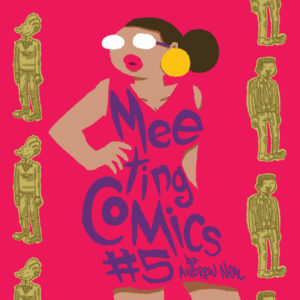 Meeting Comics is published three times a week on Monday, Wednesday and Friday. 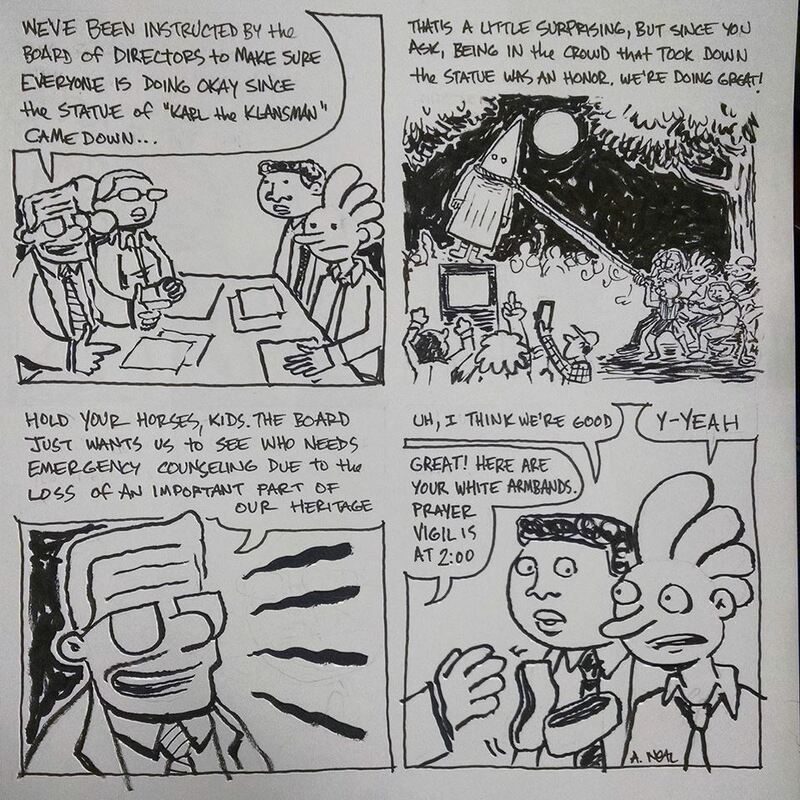 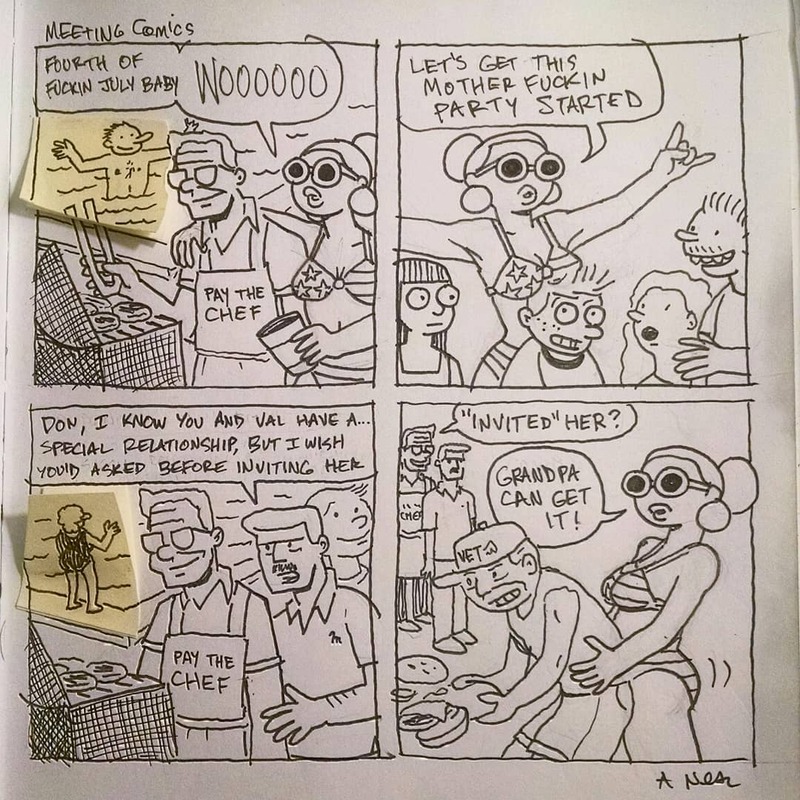 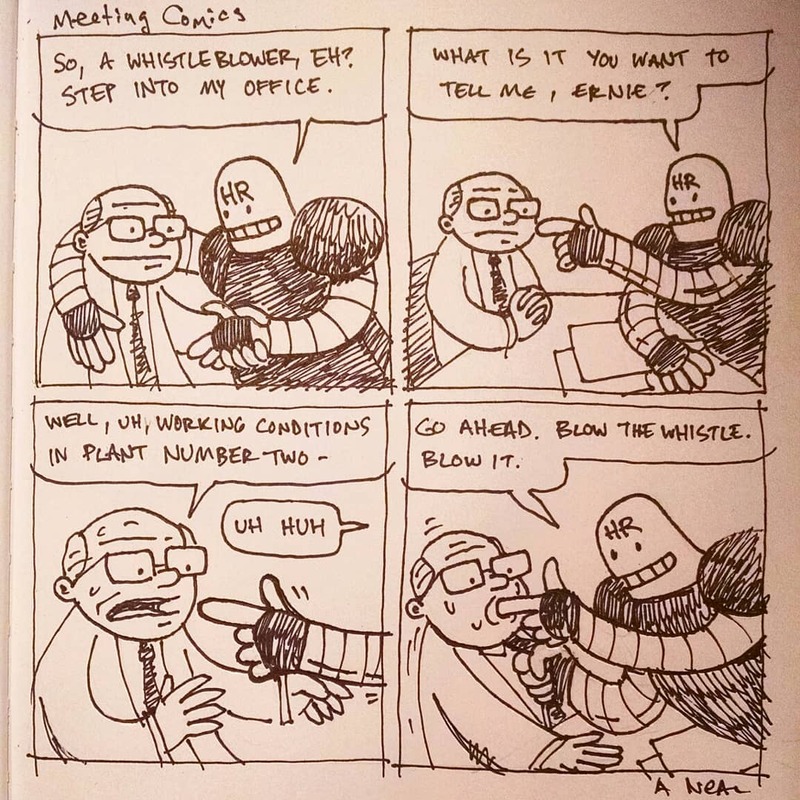 HOW DO I READ MEETING COMICS? 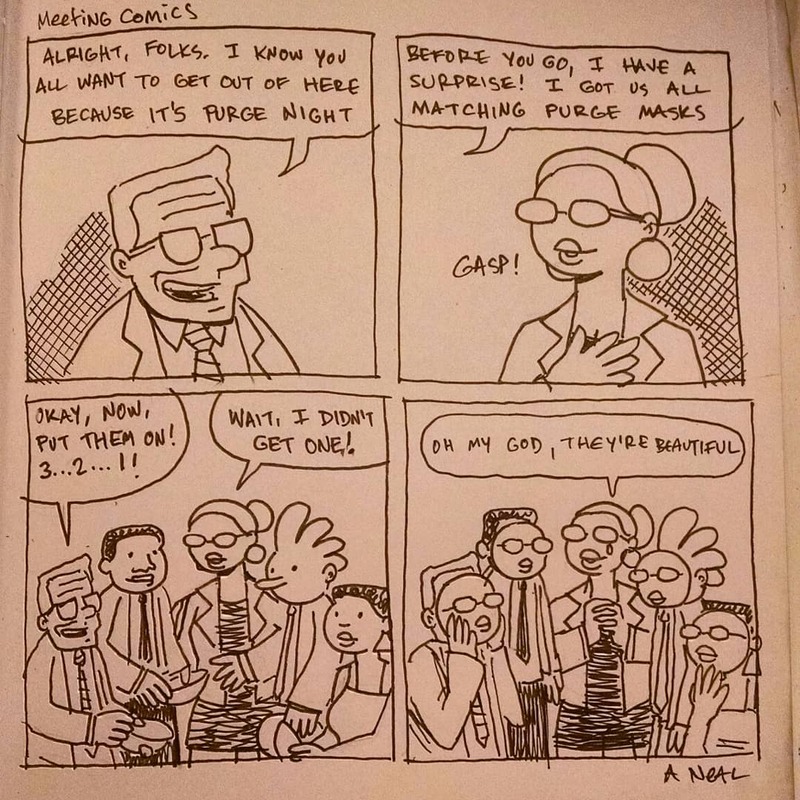 Patreon– Subscribe at $1 a month to read Meeting Comics a week earlier than everyone else with exclusive content and commentary! 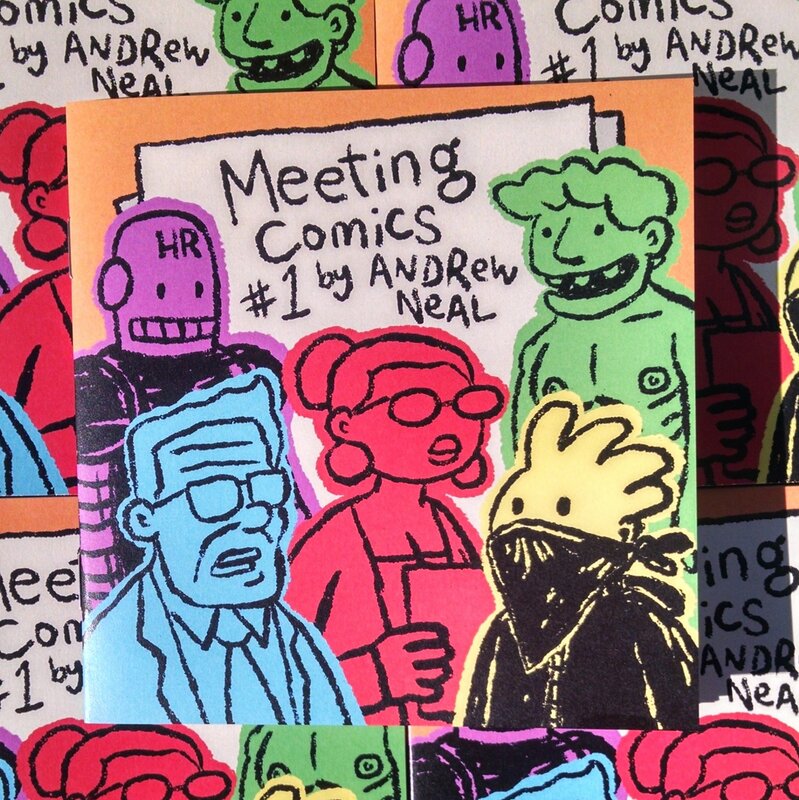 Subscribe at $5 a month to receive Meeting Comics in print in your mailbox every 2 months or $3 a month for digital copies every two months! 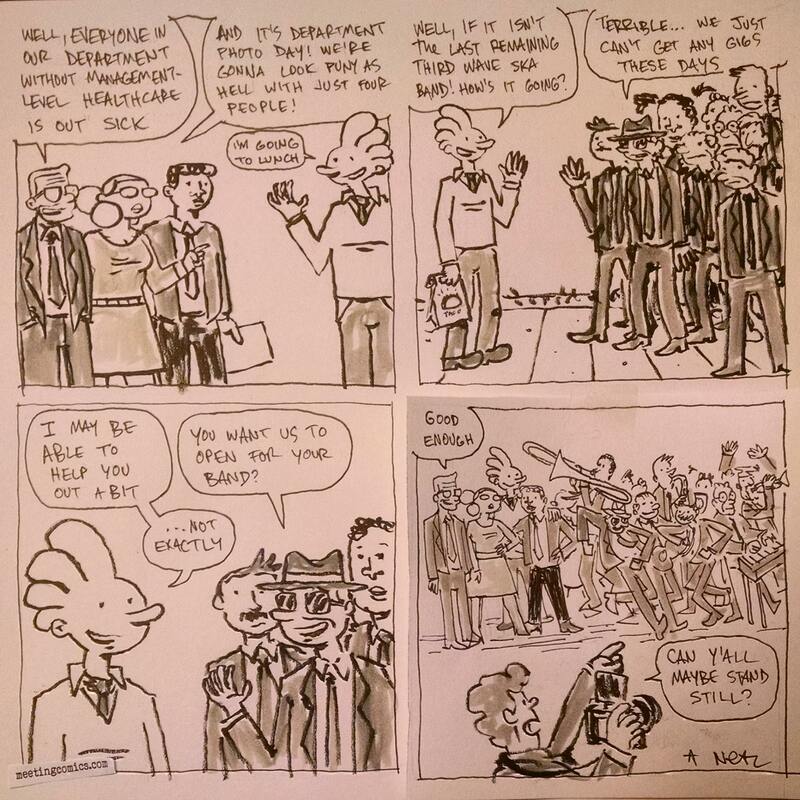 Instagram and Twitter – Free to read but mixed in with my other social media nonsense! 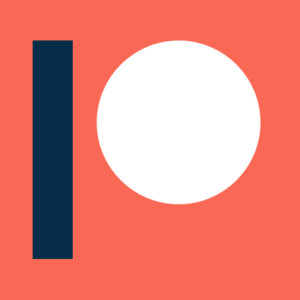 As of April 2019, content on social media appears one week later than patreon! 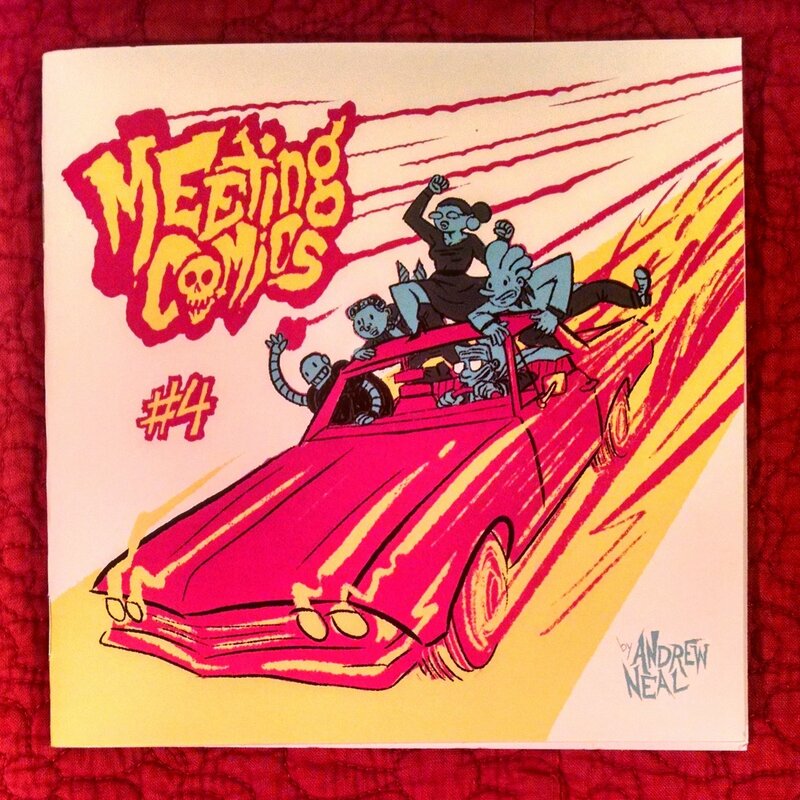 Print Comics – Order Meeting Comics in print! 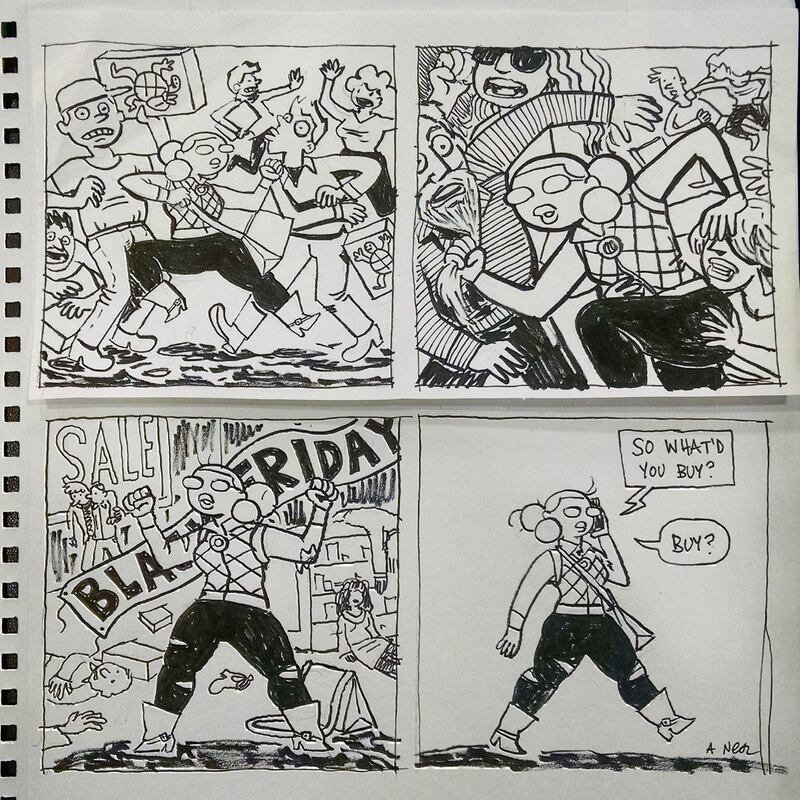 Back issues, preorders, and subscriptions available! 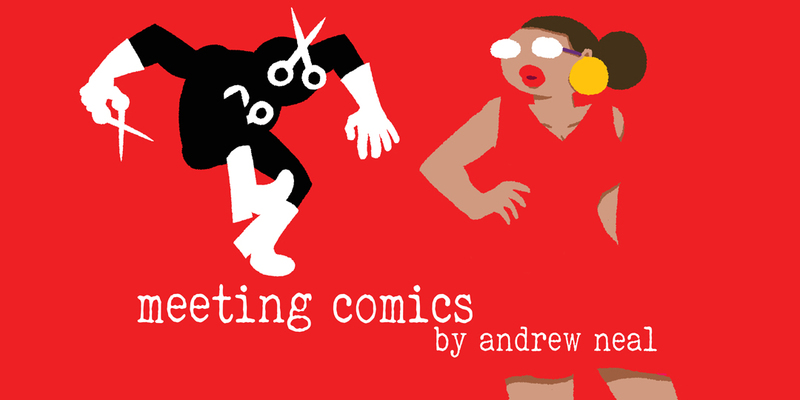 Digital Comics – Purchase Digital Editions of the print comics! 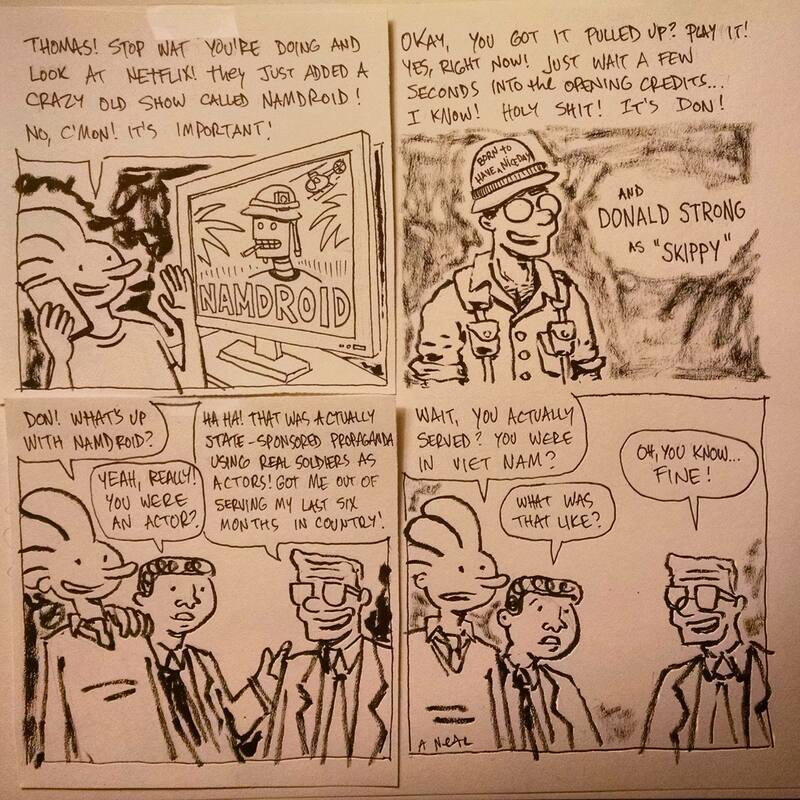 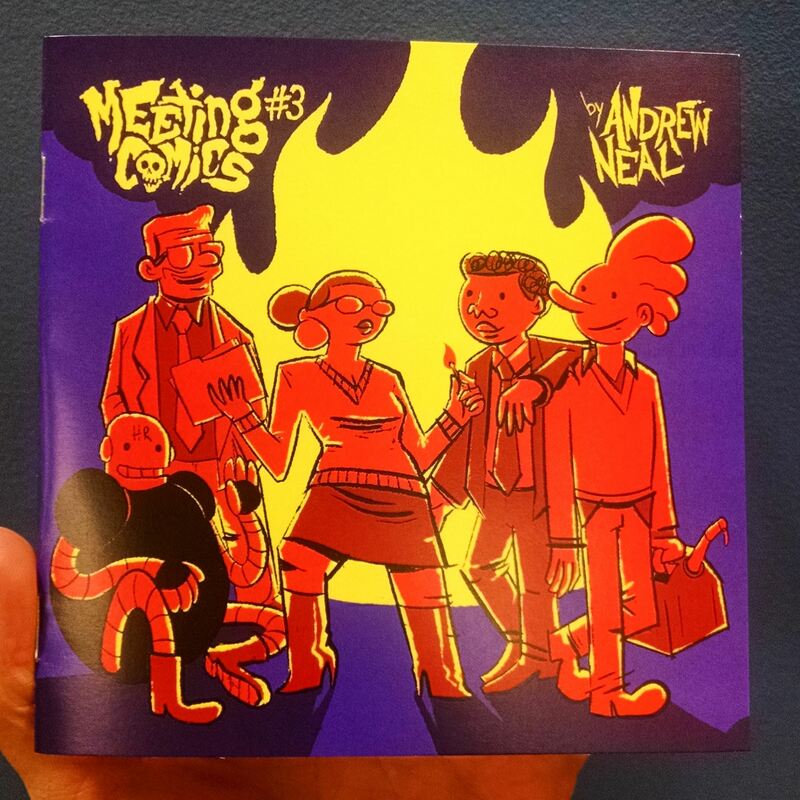 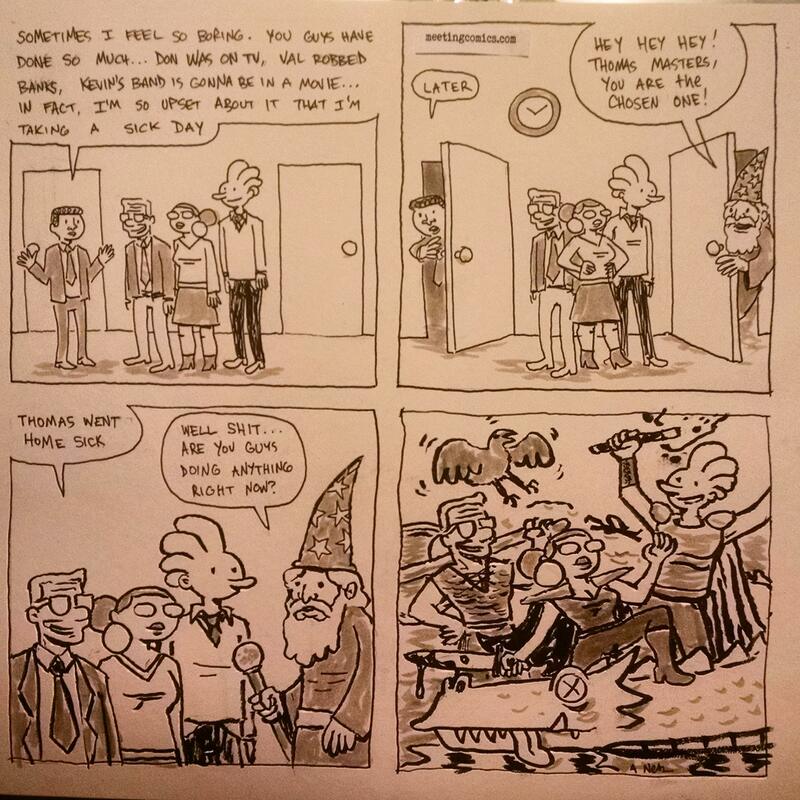 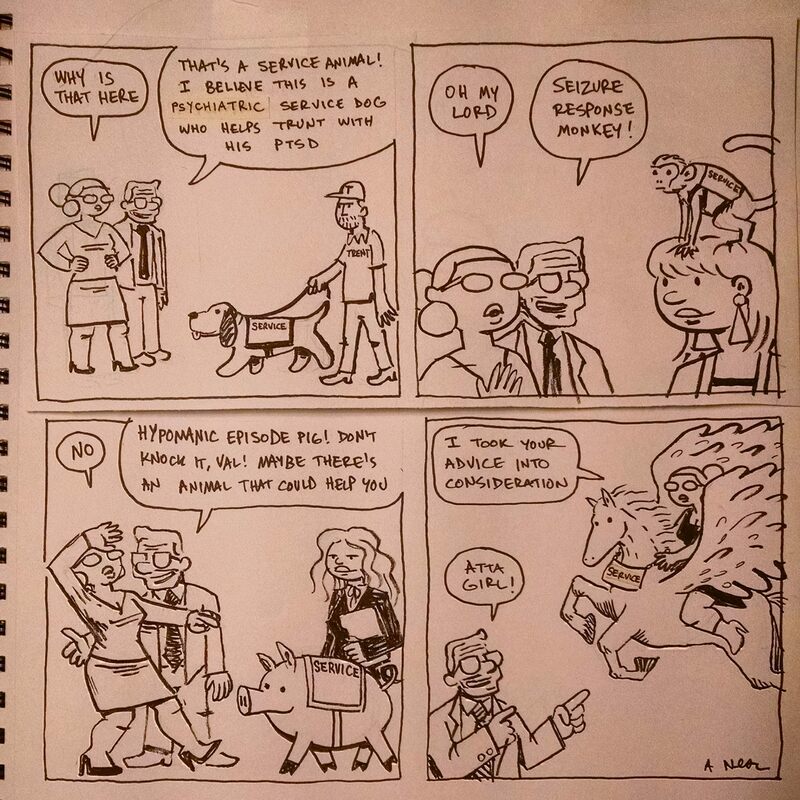 Brick and Mortar Stores – It’s possible your local shop carries Meeting Comics in print! 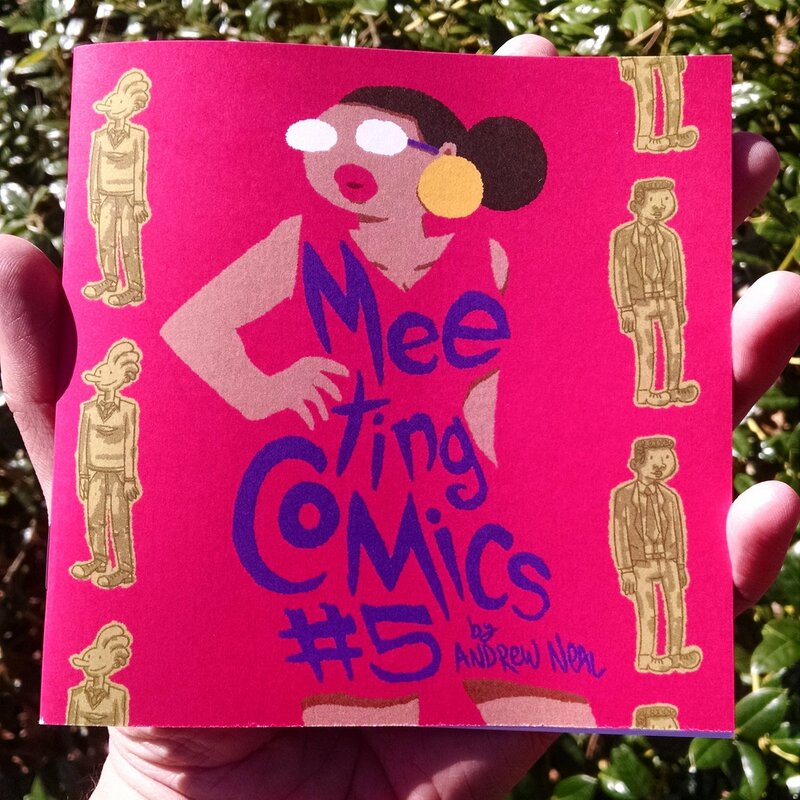 I keep a list of establishments which have ordered copies of Meeting Comics and may still have them! 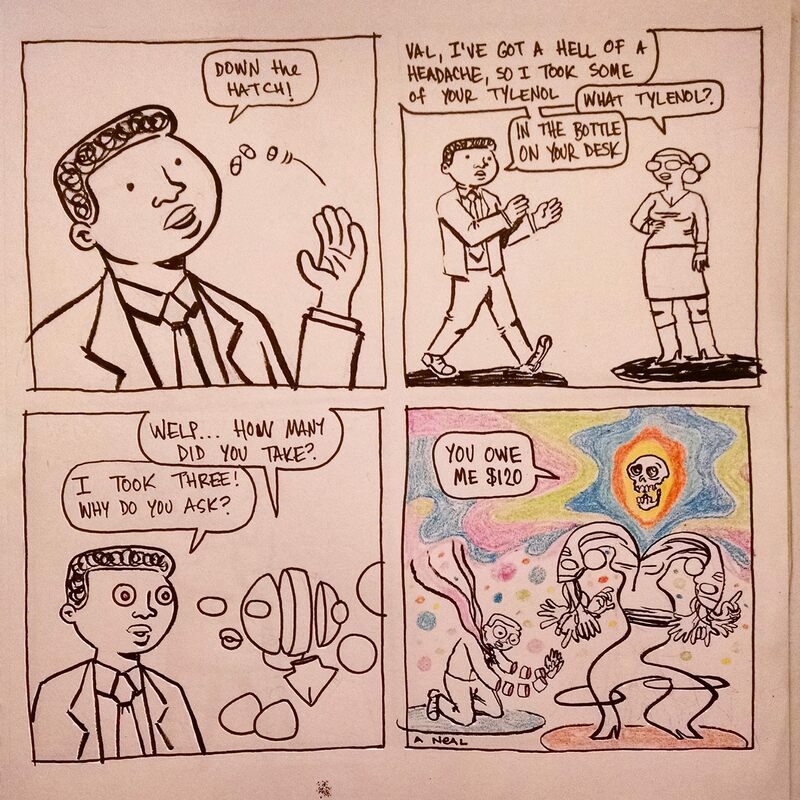 HOW DO I ROCK MEETING COMICS GEAR? 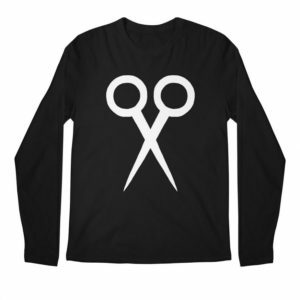 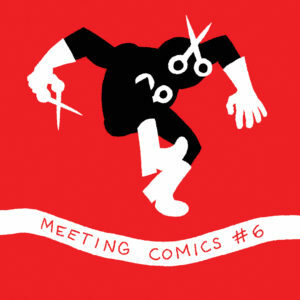 Threadless – Meeting Comics shirts available here! 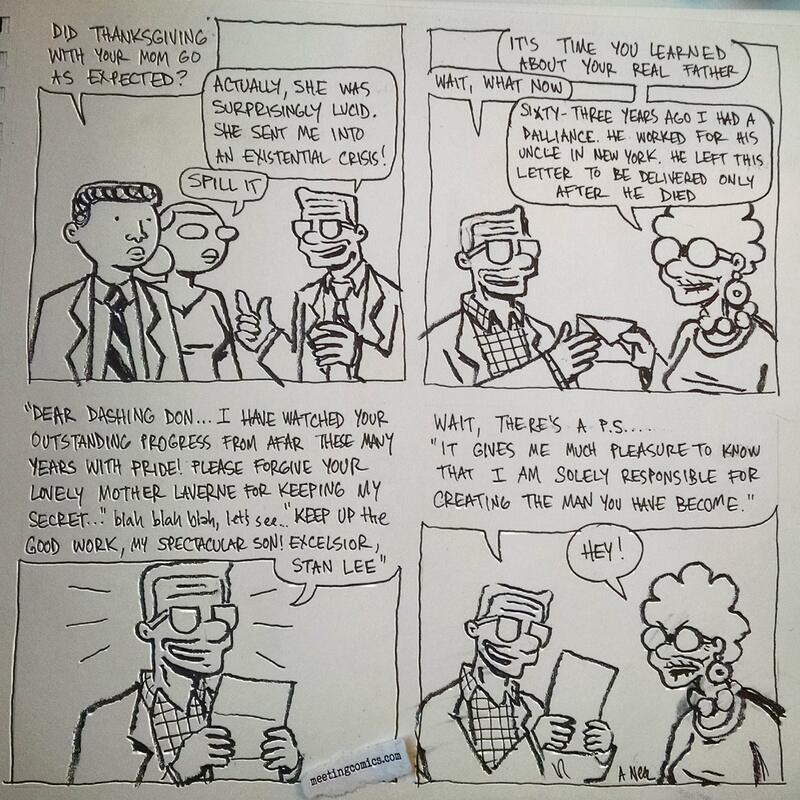 See some of my other work at Wander Lane dot Com. 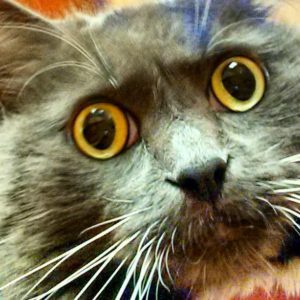 Contact information is here. 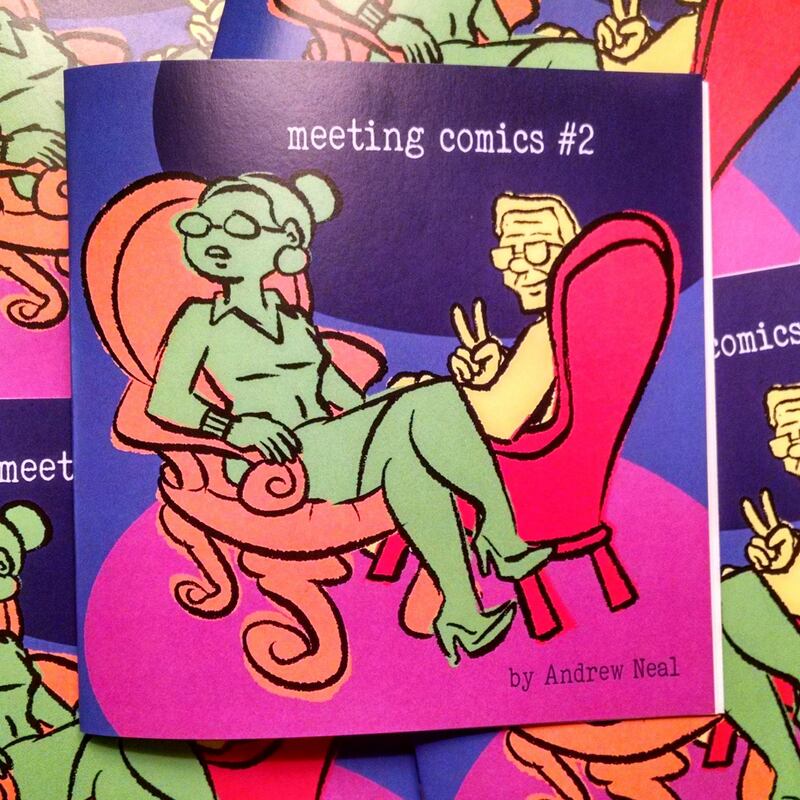 Below are the covers to the print comics as well as a generous sampling of Meeting Comics!